Thank you for your interest in Southern Illinois University Carbondale’s Center for English as a Second Language (CESL.) intensive English program. As part of SIUC, our intensive English program is authorized by federal law to enroll non-immigrant alien students and issue the I-20 form required to apply for a student visa. Are age 18 or older and/or who have completed high school. Have enough funds or a scholarship to cover their tuition, fees and living expenses for the duration of their CESL study. Are willing to work hard in a demanding language-learning program. Thanks to our rotating CESL schedule, you can enroll in SIU’s program during any of the five different time periods throughout the year. The cost of our CESL program is very affordable. 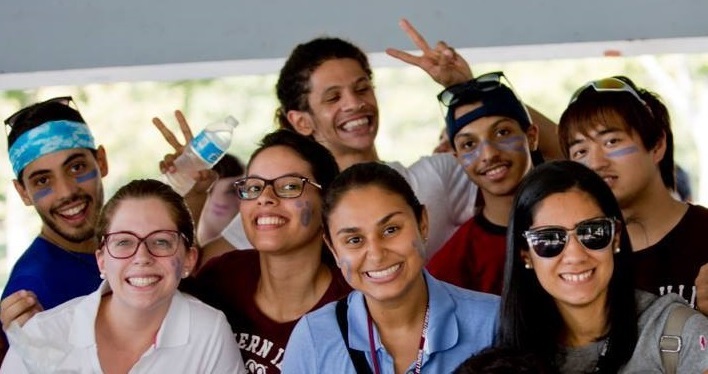 See the extra benefits our intense academic English program features. Visit our photo gallery and see for yourself how incredible the SIU experience is! Immerse yourself in American culture and life in a beautiful, safe area with an attractive cost of living. 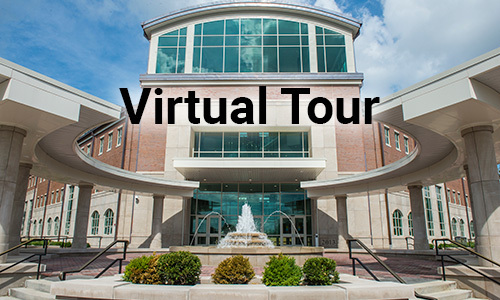 View our virtual tour. In a paper format at the CESL office, located in Room 3242 of Faner Hall on the SIU campus. Send a copy of your passport; it must be valid for at least 6 months beyond your period of stay in the United States. A copy of a bank statement from the person paying for your education. A copy of your financial guarantee if you have a scholarship. sending a check or money order payable to Southern Illinois University Carbondale. *In addition, a $1000 initial non-refundable tuition deposit might be required before granting admission. This one-time fee indicates your commitment to attend CESL and secures your course enrollment. When you register as a new student, the $1000 deposit will be applied towards the tuition of your first term. Please note that this deposit will not be refunded if you withdraw from CESL before finishing the term. Please submit a copy of you permanent resident card (“green card”) or proof of U.S. citizenship (a U.S. passport). Applications are usually be processed within 7-10 business days after all documents are received. *Payment in full or proof of sponsorship is required at time of registration at the school or a $25 late fee may be assessed. Students will not be permitted to enter classes until tuition or a financial guarantee is received. Financial Guarantee Form (download Word doc). Certificate showing completion of secondary school if you are under 18 years of age. A copy of the first I-20 form, and the most recent I-20 form that the student has been issued. A copy of the student’s I-94. A copy of the F-1 student visa. Attendance form (download Word doc). Transcript from current language program. Financial statement (download Word document). Transfer Verification form (download Word doc). The applicant must submit his/her own bank statement or the bank statement of the person who will pay for the applicant’s studies. It must show a balance of $4,500 US for each intended session of study. The statement must be written in English. The name of the account owner must be in English. The statement must clearly show the type of currency held in the account. The application fee ($50) is not refundable. *Please note that a $1,000 initial non-refundable tuition deposit may be required in order to complete your admission process. This one-time fee indicates your commitment to attend our center and secures your course enrollment. If you register as our student at the beginning of the term you have been admitted for, and subsequently attend one term at CESL, that $1,000 deposit will be credited toward your tuition. It will become the final installment to complete your tuition payment. At the time of initial registration you will also need to pay the normal student fees, the campus health insurance costs, and any amount still due for tuition, less the $1000 deposit you have already paid. If the application fee and tuition deposit are paid by check or money order, the application will not be processed until the check or money order has been received in the mail. Submit the application and all documents listed below by email to CESL@SIU.EDU. You must type your SURNAME in the subject line of the message. Fax the documents to 618/453-6527. Please include a cover sheet showing the student’s name and email address. You or someone you designate my carry the documents to the CESL office.